I'm interested in Capcom Classic adapter, how much do shipping costs to Spain cost? 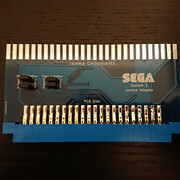 Do you have a good adapter for Sega Wonderboy to JAMMA ? Sega System 1 Jamma Adapter with possibility to swap push buttons.